Construct a state of the art facility that includes a total temperature controlled facility with redundant air handling systems with HEPA filter housing and a building waste system that can be contained in storage tanks prior to being transferred to process waste building, ensuring that the environment is not exposed to potentially dangerous and contagious pathogens. ACI Mechanical received the contract for the $9-million-dollar Mechanical portion of the project and completed detailed layout drawings for the installation. 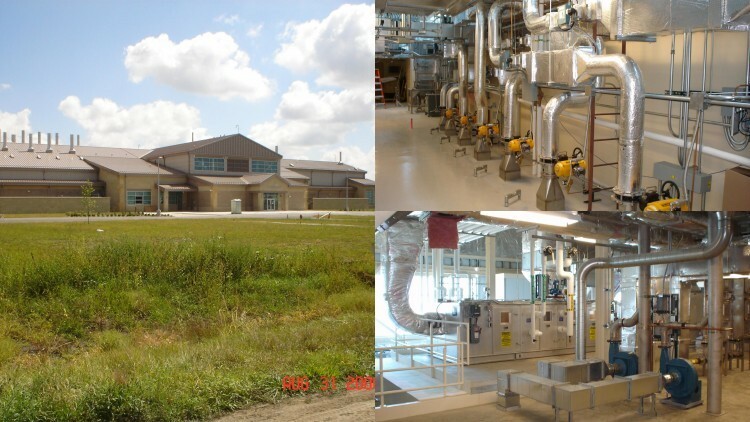 ACI installed 90,000 pounds of galvanized and stainless steel ductwork, installed 29 air handling units, and 10,000 feet of Hydronic Piping. ACI worked very close with the USDA the building users and McCarthy Building Companies the project Construction Manager in detailing coordination drawings. These drawings supported the crews during the installation of piping and HVAC systems allowing ACI to support the overall project schedule.